It all started in 2001 with a prayer movement - 40-day Fast and Pray for Malaysia, organized by NECF (National Evangelical Christian Fellowship). I was a first year student in University Technology Petronas (UTP) when I came across this movement. Not knowing why, I felt the urgency to pray for Malaysia. Since then, I started to see Malaysia very differently and began to sow the seed of love for this nation. I remember I was only 18 years old when I did my first 40-day Fast and Pray for Malaysia. Looking back now, I realized, I too, can be a part of the answered prayer. How marvelous. No, I am not a super patriotic person that nothing else matters to me beside Malaysia. Being a 'kampung' girl, I dreamed of going overseas - to study, to work and to see the world. 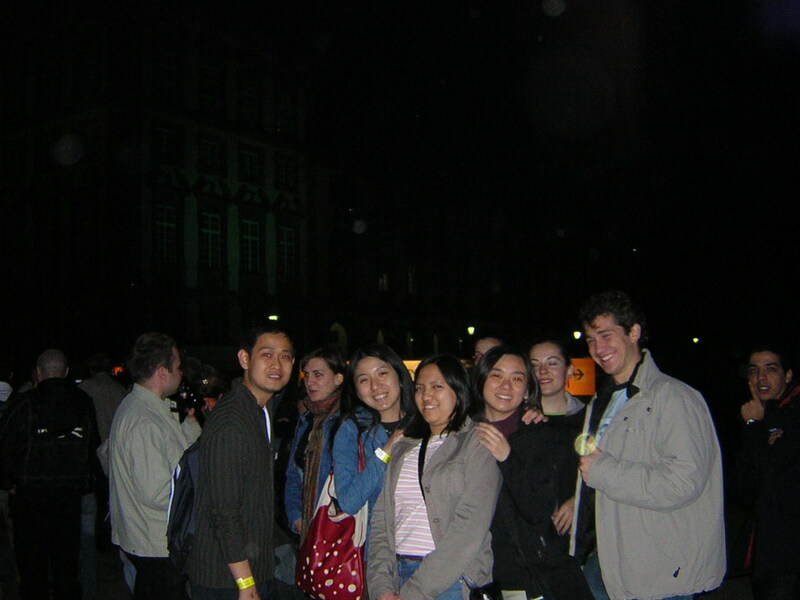 Internship in Germany was my first taste of international exposure as they take interns from all over the world to Germany. Here are the pictures of some of my friends there. I spent countless of hours with some of these friends here discussing about just about anything under the sun. Due to language barrier (I know little German), I needed an English-speaking church and I finally found one and attended Rhein River Baptist Church (RRBC). RRBC is a church established to serve the spiritual needs of the American army who are based in Mannheim (a city near to Ludwigshafen). I was one of the few non-military church members there. Through my interaction with the American armies in RRBC, I began to understand what "Democracy", "Liberty" and "Patriotism" really mean. 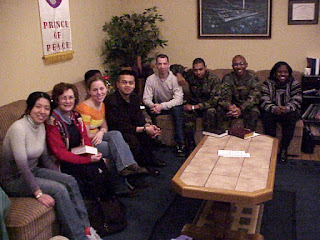 Below is a picture of me and some of my church mates in RRBC. During my stay in Germany, I also took the opportunity to travel to neighboring countries like France, Italy, Luxembourg and England. It was in these trips that I foster my love for arts and architectures, which remain till today. 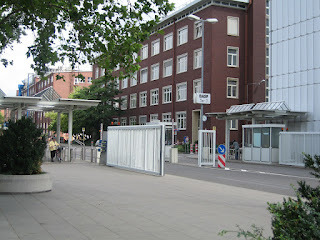 Before coming to Germany, as a top student, I thought I knew a lot. After I came here, I realized how little I knew about the world. I began to question why in Malaysia we did not learn a more complete world history, different political systems, different ideologies, arts and culture? Neither have we been taught to think critically and objectively. I began to realize that what we've been taught in the schools have been crafted in such a way that we can be easily manipulated if we are not careful. Our syllabus was (and still is) flawed and politically biased. 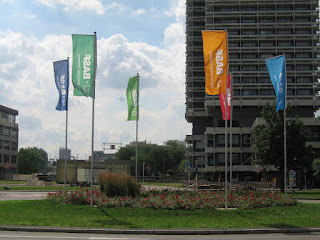 Six months of internship in Germany has completely changed my world view , my eyes began to open, my previous perceptions shattered and I began to see things very differently. There is actually a much BETTER way for Malaysia. After the internship, I came back to Malaysia to finish my study in UTP and graduated in 2006. Before I finished my study in UTP, I received offer from my dream university, Cambridge University, for a program called MPhil in Advanced Chemical Engineering. I was so happy! So I started to apply for funding from various organizations. I didn't get any. Although disappointed, I wasn't blaming anybody as I understood that nobody was obliged to fund me. Despite financial difficulties in his business in 2006, my dad agreed to fund my study in Cambridge. However, I still had one problem. I was bonded to Petronas for 10 years and was supposed to serve my bond after I finished my study in UTP. So I wrote to Petronas again to ask for deferment of service until after I finished my master degree in Cambridge. A few weeks later, I was called to come to the education unit. There, I saw a nice guy, he told me that the program was great etc and he really wanted to help, but it was in the policy that they couldn't allow any deferment for the bond or I would have to pay up my bond in lump-sump. My dream crashed. I did not blame Petronas for that, as they were just following the contract and it would be a havoc if every scholar would come and ask for deferment or for more funding. I understood that. However, it was a small incidence in the education unit that made me utterly disappointed with how things work in Malaysia. While waiting at the lounge, I met two returning scholars from Nottingham University, UK. I started to talk to them. To my very surprise, they couldn't even speak proper English! After a while, an education unit guy came and met them, I accidentally saw their results - one of them get second class lower and the another one a third class. That blasted my mind. Here I was, with a CGPA of 3.95/4.00 begging only for 1 year of deferment, not even a scholarship, but was denied. Here they were, spent 4 years in the UK fully sponsored and yet graduated with at most, mediocre results. Am I not as much a Malaysian as them? Being a 23 years old, I was utterly disheartened and disappointed. It was just a few days after I came back from Petronas education unit that I received a call from an American oil and gas company informing me that I was recruited. How did I get the job? While searching for scholarships to Cambridge, I casually attended 5 stages of job interviews with this company as my mom advised me to go for job interview experience. I really couldn't remember what I did during the interview. So being able to get the job, I would say that it's God's open door, or some may say that it is by 'accident'. I was assigned to a country called "Turkmenistan" and the salary would allow me to pay up my Petronas bond in just a few months! Turkmenistan might sound scary to many, but I was so excited! I really wanted to see and know more about this part of the world! Since the offer was great and there was no way that I could attend Cambridge anyway, I decided to take up the job. Turkmenistan was where I spent most of my next 2 years. I was 24 years old when I left home for Turkmenistan. My life in Turkmenistan was summarized here. Not only in Turkmenistan, I also spent 3 months in Alexandria, Egypt and some time in Baku, Azerbajian for work related assignment during my 2 years in oil and gas industry. Being paid in a salary comparable to many general managers here in Malaysia, I managed to settle my bond with Petronas very quickly and saved some for myself. 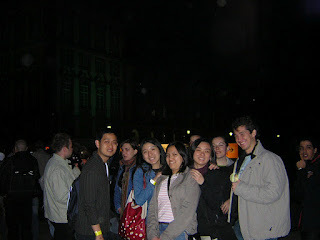 With the traveling allowances from the company, I traveled to many other countries too during the holidays. Life was great, I worked hard, played hard. Because of the good compensation scheme, I did not really think much about what I really want to do in life, my dream or my passion for the country. What I went after were money, bonus and performance. I became terribly self-centered. I just didn't care anymore. It was until 9th Mar 2008, when I opened The Star online and saw the news on the political tsunami that I realized how I still love and care about my country. They were just buried very deeply under my frustration and disappointment. How I wished I would be able to contribute to the change no matter how small the contribution was, instead of just seeing it as an outsider. I began to question, why am I here? Is this really what I want to pursue? Do I do this because there's no more option? Do I do this just because of money? If I were born in the US with many other opportunities, would I still do what I am doing now? How many more Malaysians out there left Malaysia because they went for better opportunities, just like myself and many other Malaysians abroad I've met throughout the years? 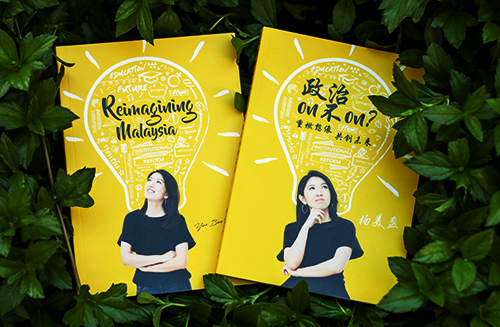 My dream for a better Malaysia has re-ignited, click here to see what wrote back in 2008. After more than half a year of consideration, I quit the job just months before my second promotion (when I still could resist the temptation). 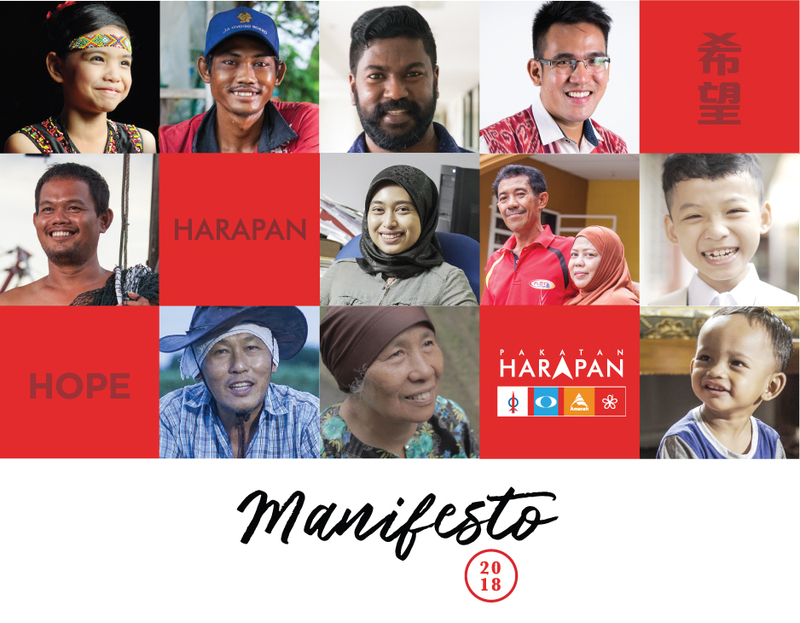 I wanted to be back to make a change to my nation, so that our next generation do not need to wander around the world for a better future, because the better future IS in Malaysia. I knew that I am a nobody and of me coming back would not help much, but I thought I should just do my part as a Malaysian, to serve our nation, regardless. However, before I was back for good, I wanted to fulfill my childhood dream first, that was, to study in Cambridge University. I did not need to worry about my finance anymore now as I could afford to pay for everything. So I re-applied and got the admission offer within a month. A double blessing to me was that Cambridge Gates Scholarship, the most prestigious post-graduate scholarship in Cambridge University, also offered me a full scholarship! Everything was paid for including air tickets, living expenses and school fees! I was and always will be grateful for Bill and Merlinda Gates Foundation. 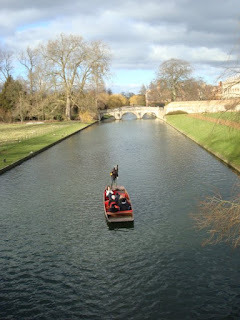 With that, I went to Cambridge University at the age of 27 years old, a long-delayed dream finally came true. I had a great and fruitful year in Cambridge. It was an intellectual challenging year and I had countless of sleepless nights to finish up my writings etc. I enjoyed most of the lectures, which were usually delivered by the professors who are top in their respective fields in the world. 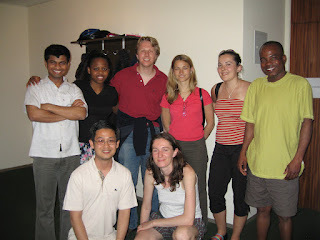 Many of the lectures had greatly inspired me especially in the field of sustainable development and renewable energy. 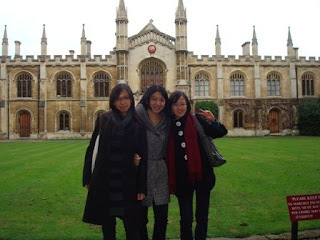 I just so enjoyed the abundance of knowledge there.Here is a picture of my friends and I in my college (Corpus Christi College) in Cambridge. Putting personal development aside, what I had experienced in Cambridge continued to make my burden for Malaysia even stronger. Throughout the year, I've met with many brilliant Malaysian students or working adults from top universities in the UK. I usually asked if they will one day be back to Malaysia. For those with JPA or Petronas bond, they said yes because no choice, whereas for those who are not bonded, almost 80% said No or they'll only be back to Malaysia if they can't find a job in UK, Europe or US. Malaysia has become the last resort. For the Gates scholars, it's even more dismal. Out of the 10 who have received the scholarships from 2001 to 2010 (unfortunately none received the scholarship in 2011 and 2012), I am the ONLY 1 who is back. Where do many of the talented Malaysians go? There are all at the foreign land seeking for better opportunities and a better future. Can we blame them for not coming back? NO, absolutely NOT. Malaysia has just too little to offer them. After pursuing my personal dream, as I've promised myself, I was finally back to Malaysia to pursue my dream for the country. Even with a strong burden for the country, it hadn't crossed my mind that I should be in politics, mainly because to me, being a politician was too far-fetch. I had no idea as in where to start, what to do, and which party to join. Also, I had been non-partisan all my life. What I thought I would do to make a change was probably community works and joining NGOs. Until my company did a project with Democratic Action Party (DAP) in their general election social media campaign that I was exposed to politics first hand. I finally came to realization that if I want to make a good impact in this nation, with the limited things I have, it can only be done effectively through politics. So joining politics? It was a tough decision, especially this year, only 1 year plus after I started my own business. I am not a person that go after fame and power, why bother to join politics? In addition, I am already 29 years old, isn't that better for me to find a husband and start a family? (God knows, when I was young I wanted to get married at 25!). Why waste time fighting for a job, of which I'll risk losing every 5 years and getting a pay that is not even half of what I used to get? Why bother to play the so called 'dirty politics'? As my mom has so rightly put it, "you can have a decent and comfortable life now already, why choose such a hard life?". However, what my mom did not know, is my love for this nation since I was 18 years old, and my desire to see a better Malaysia. As I look back my life, by the grace of God, I was blessed with good and free education, MNC job training as well as so many different opportunities of international exposure. What I want to do now is really to be a faithful steward to the gifts of God and use them to bless my fellow Malaysians. So I've made up my mind to join politics. Even after I've decided that I should join politics, I wasn't quite sure of which party to join. I was still a non-partisan by then, although I did hope that DAP will win more seats in the GE. So I examined through the ideology, history and leadership of different parties, and had finally come to a conclusion that DAP is the best choice for me. One setback of DAP to me was the party ethnicity-mix. It is still made-up of mostly Chinese and I am definitely not very into a race-based party. However, as I was involved in the Roketkini (DAP Malay news portal) Facebook page promotion, I could see the effort of DAP to reach out to Malay population and a genuine intention top down to make DAP a multiracial party. No party is perfect anyway. So I decided to join DAP and believe that through hard-work and time, we can build a true multiracial party together. So now, I am in politics and volunteering in DAP. What am I going to do for the next 20-30 years in politics? Firstly, my heart is to use my gifts to serve the people regardless of income, race and religion. I believe politician is in fact public servant, we should always work towards maximizing the interest of the public. For the long run, my hope for Malaysia is very simple. I hope that through the hard work of our generation, we'll make sure that Malaysia can be a land of opportunities and equality for our children. I hope that Malaysia can be a land where, no matter how big and what your dreams are, they can be fulfilled here; and no matter what your potential are, they can be reached here. I hope that our children, no matter where they are outside of Malaysia, they will so look forward to come back to Malaysia because this is the best place for them to be. I hope for a Malaysia that is free from corruption, united regardless or race and religion as well as competitive in the global economy. And now, I shall work hard for it. May God bless the works of our hands. Note: the story has been shortened from its original version of Jun 2012 so it's easier to read.